Gambling is viewed very differently in the world. In some countries it is welcomed with both arms while in others it is abhorred. The rest of the countries fall somewhere in-between the two extremes. Some countries have gray areas in their law while some are comprehensive. Without universal regulation, each country makes its own regulation. Asia in particular has both extremes on the same continent, more so on the restrictive side rather than the welcoming side. 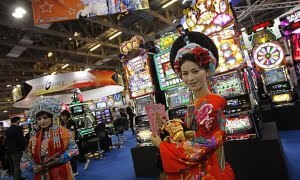 Japan: Gambling in its real sense is illegal in all of Japan. You will not find gambling resorts and crowded poker rooms here. This applies to online gambling as well. The closest thing to gambling that you will find here is lottery tickets and sports betting. Plans to have gambling results are ongoing with parliamentary bills to that effect tabled in parliament a few months ago. It is not clear if online gambling and poker laws were included but the outcome will be of profound effect to those on opposing sides. Malaysia: Malaysia is a country with a Muslim majority and Islam is considered the state religion. Gambling is prohibited in all of the country except for one resort in the highlands of Genting. Even there, Malaysian citizens who happen to be Muslims cannot engage in gambling either. Despite attracting millions of tourists every year, the rules do not seem to be easing anytime soon and that will extend to online gambling for sure. Hong Kong: Poker laws are not friendly here. Gambling is strictly controlled in the territory of Hong Kong. The only form of betting allowed is football betting on a government site. Poker and other forms of gambling, land based and online are illegal. To have any gambling here, you will need to board some gambling vessels that motor out to the sea and open their gambling operations on international waters. China, South Korea, Singapore and Indonesia are other Asian countries with prohibitive laws against online and land based gambling. Despite the restrictions in Asia and other parts of the world, online gambling’s growth is not about to slowdown anytime soon. In fact, it is set to grow with many countries embracing regulation of online gambling operations. The “Global Online Gambling and Betting Market (2015)” which is published by a business intelligence company, yStats.com opines that globally, online gambling is a growth industry with a lot of potential. This will go to full-blown growth once more countries embrace regulation and open up the market to their citizens. Gambling and poker laws in Asia aside, today Europe leads in regulation of online gambling. This has promoted the industry in a big way. With many countries embracing regulations for iGaming, the result is increased clientele and more gambling sites coming up. Elsewhere, online gambling continues to face hurdles with only a handful of states in the U.S.A legalizing the industry. South Africa have consistently resisted any attempts to legalize online gambling while other countries and like Brazil and Mexico have bills in their legislatures aimed at making online gambling legal and regulated.